It runs as a service in the background, normally listening on port 4200. When I then surf to localhost:4200, I see the Bash login prompt and can log on and go about my work in the normal way (Figure 1). It doesn't even have to be a full login. I can also redirect the output from programs running in Bash to the web. 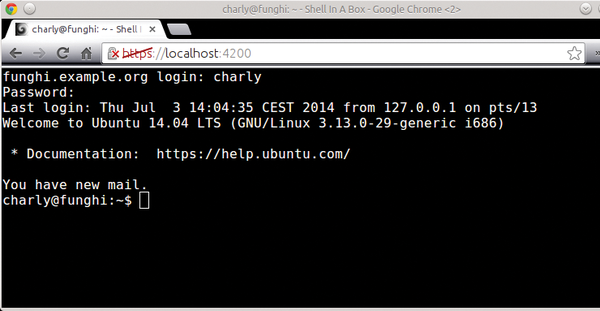 Figure 1: With the Shell In A Box web server running on a server, admins can use their browsers to address it; the reward for doing so is a Bash login. beams the Htop process monitor into the web. The -t parameter disables SSL encryption, which is enabled by default. Switching this off here is less critical than you might think, because I am only letting Shell In A Box listen locally on 127.0.0.1 – in a box in the true sense of the word. If you don't like the idea of the default port (4200), you can choose a different one; this is handled by -p 8001 in my example. The --no-beep option disables the annoying notification tones. The -s parameter is followed by the actual shell command, whose output you want to display in the browser. You can do this with multiple box shell instances at the same time, which is why I specified a URL (/htop) to distinguish between the instances. To see the output, I thus need to enter a URL of http://127.0.0.1/htop in my browser's address bar. The results look like Figure 2. 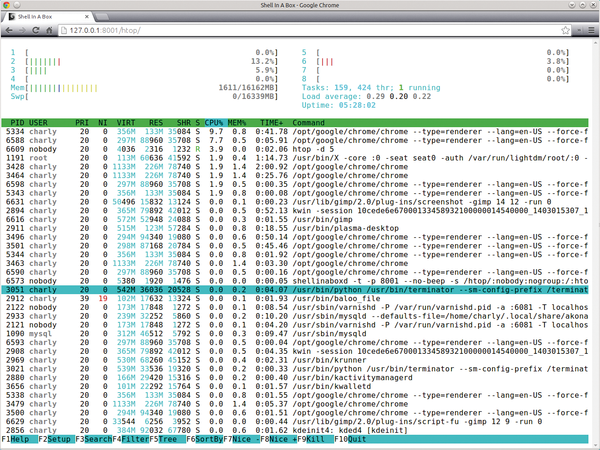 Figure 2: The Htop process monitor running in Shell In A Box. Despite being displayed in the browser, hotkeys like M still work. Besides statically displaying the typical text flow from standard command-line tools, the browser also supports interactive working, assuming that the tools you use have an interactive mode. For example, if you press the M key in the Htop output, the browser shows the processes sorted in descending order by memory requirement, just as in the native command line. As always in production operations, I would advise caution with the shellinaboxd. If you export your Bash to the web, you should at least insist on HTTPS. The user rights also need to be as conservative as possible, as shown in the Htop example, where I specified nobody:nogroup. Fortunately, Facebook is not the only place you can chat: When sys admin columnist Charly Kühnast visits the web chat center Reddit, he often goes without a web browser and uses the RTV tool, which can even display photos and videos on plain text consoles.